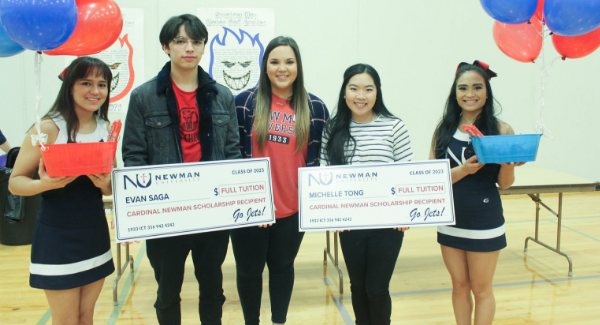 Wichita Northeast Magnet School students Michelle Tong and Evan Saga were two of five high school seniors recently awarded the Cardinal Newman Scholarship, Newman University’s highest and most prestigious scholarship that covers all four years of each student’s tuition. 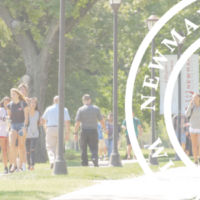 The Newman admissions team visited the high school on Friday, Jan. 18, to celebrate this accomplishment with the students, their families and their peers. Saga and Tong pose with their families at the celebration. 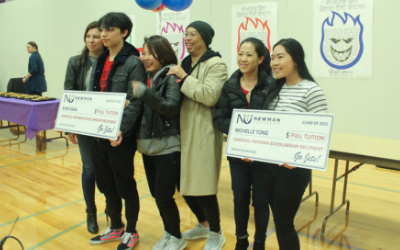 Recipients of the Cardinal Newman Scholarship must have at least a 3.9 cumulative high school GPA and a 29 composite ACT score. Award candidates complete an online application and essay before the final step in the process, which is an on-campus interview. A total of 23 candidates were invited to campus to interview with a selection committee for the award. Northeast Magnet School was the only institution with multiple students awarded. Tong and Saga each presented an outstanding academic record and heavy involvement in extracurricular activities, work, community service and civic engagement. 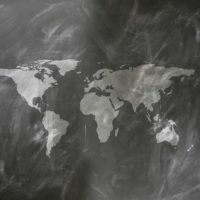 Tong is highly active in National Honor Society and student council, secretary of her class and takes part in International Thespian Society, Tri-M Music Honor Society and the Asian Culture Club. She spends time at Ascension Via Christi as a hospital volunteer and has been lending a helping hand in the Vietnamese Eucharistic Youth Movement for nine years. 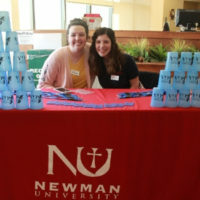 She plans to major in Newman’s nursing program. Tong said she was inspired to be a nurse by her namesake, who helped her mother while she was in the hospital with Tong as a premature newborn. 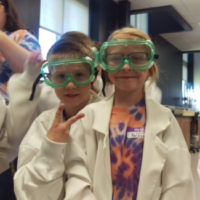 Saga stays busy volunteering at school as well as at Ascension Via Christi. He also holds leadership positions in the National Honor Society and Asian Club. He plans to major in Newman’s pre-medicine program with the goal of advocating for equal healthcare for every individual. 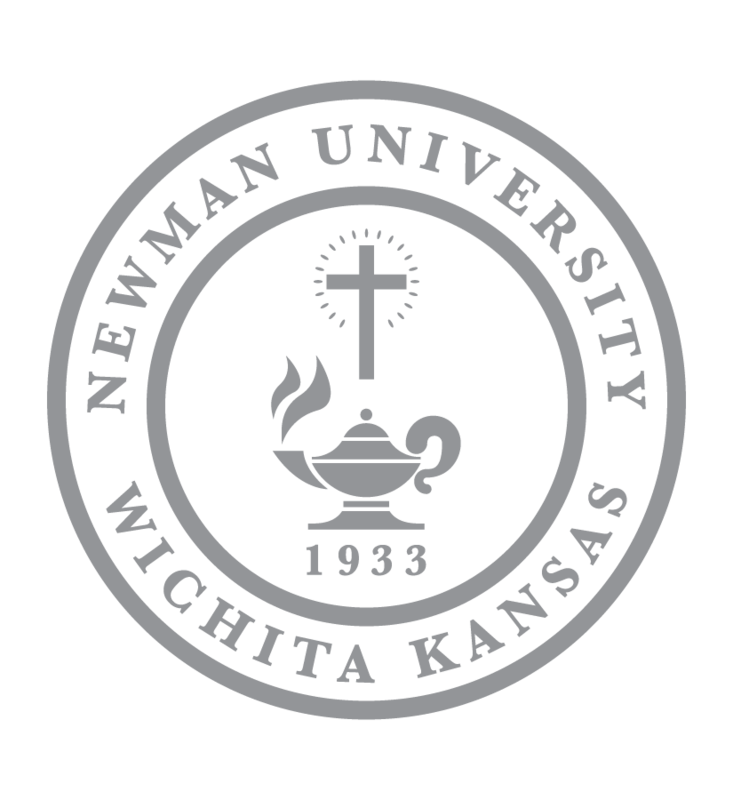 The scholarship, named for Blessed John Henry Cardinal Newman, is renewable for four years and is the most exclusive scholarship the university awards. The approximate value of all five awards for the 2019-20 class totals $654,830. Saga and Tong are both looking forward to their Newman experience and have high aspirations of getting involved as students and transforming society as graduates.